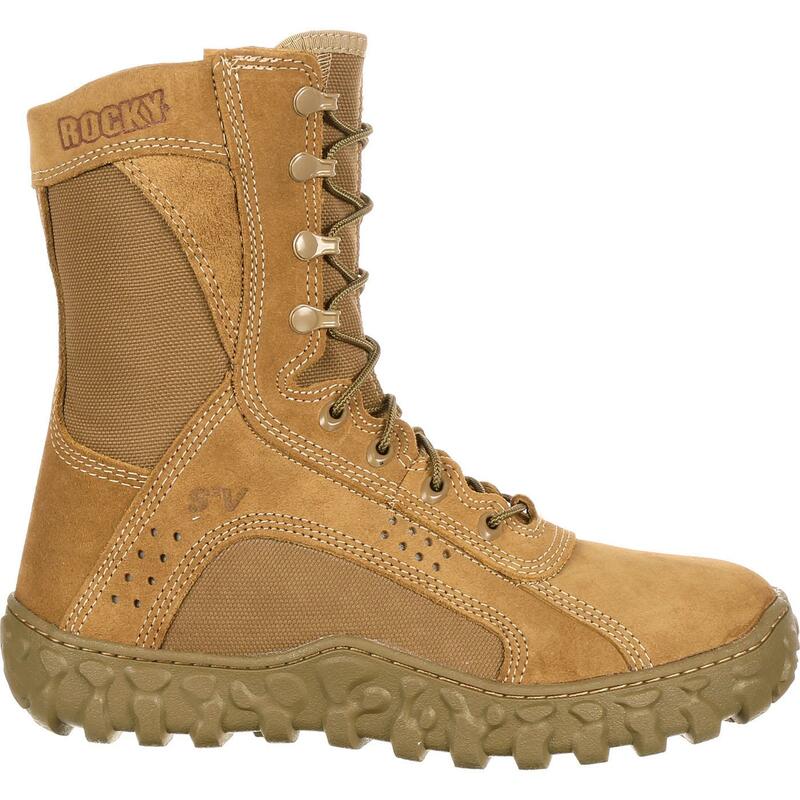 Rocky S2V Tactical Military Boot is rated 4.3 out of 5 by 103. Rated 5 out of 5 by xELYx from SUPER COMFORTABLE!!!!!!!!!! 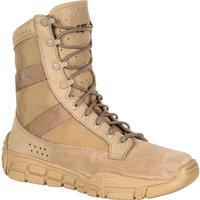 & long lasting I got the S2V boots size 13 wide last November. I live in New Jersey we had a wet, cold and very white winter. I wore them all winter and they kept my feet warm and dry as well as non winter snow boot can. 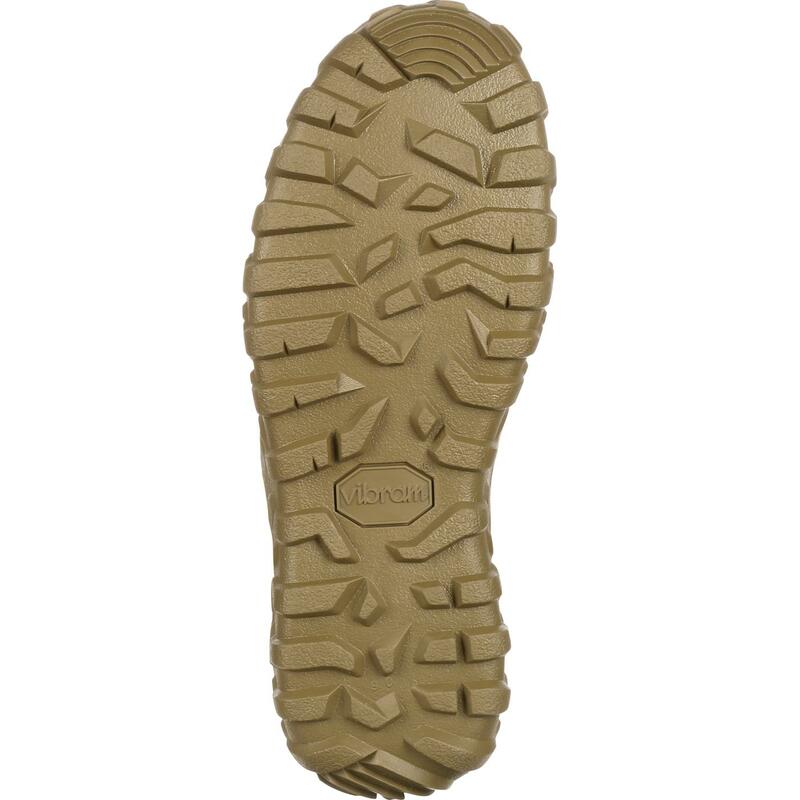 The S2V are the best boots I ever had. I am on my feet 14 hours a day. My knees were killing me before I got them. I still have some pain but not bad. I am a 250 lbs guy most boots I had would be trashed by now. My S2V's just as good as the day I got them. Getting a pair of steel toe now, only cuz my job wants them now. Do yourself a favor spend the money they are worth it. I can work more overtime with them. 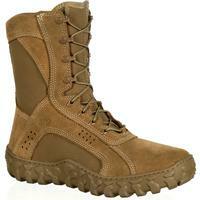 Rated 5 out of 5 by RickyP from Most comfortable boot I have worn I bought this boot about a month or so ago. I was glad to get a coupon because they are pricy. I had injured my foot (overuse injury from running), these boots are the only ones that I can wear all day without my foot hurting. These boots fit and feel better than sneakers. The build of the boots appears well made and they seem very sturdy. I would highly recommend this boot. I had heard and read many glowing reviews of this boot before I purchased a pair. They sure do stand up to the reviews. The only thing I would change is use 550 cord for the laces that match the color. I swapped my out and they stay tied better. 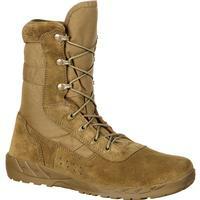 Rated 2 out of 5 by Military W5 from Disappointed Second set of boots within one month. First set I received had bad stitching around the toe of boot. Contacted customer service and they promptly sent a pickup slip and shipped me a new pair once they were received and inspected at their warehouse. Received the second pair 8 days ago. After one week of wear, the stitching is coming out in the leather in back of left boot. 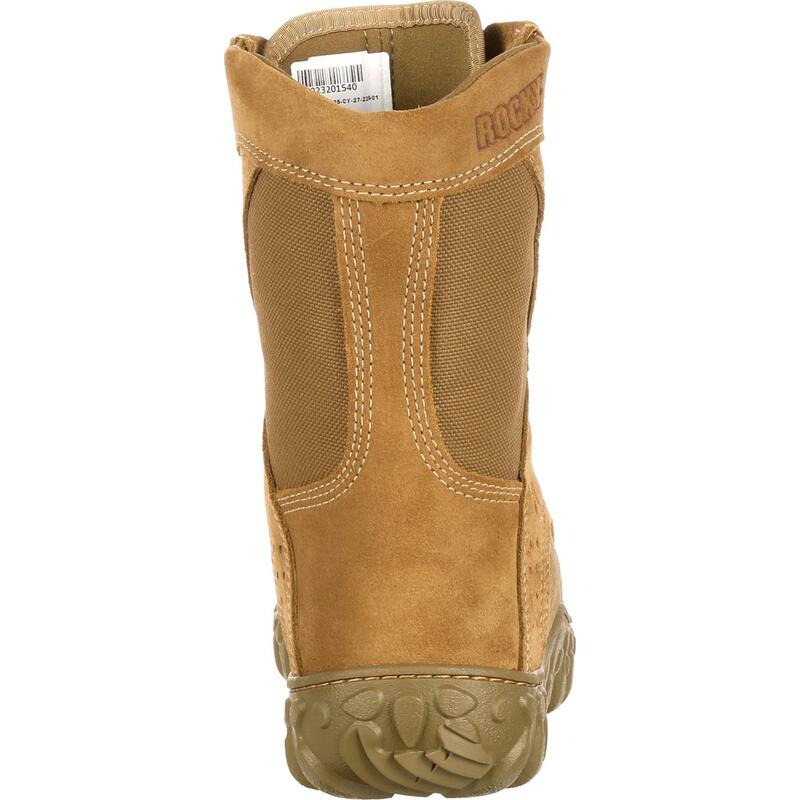 The right boot is wearing a blister on foot due to a lump wear the cloth meets leather on inside of boot at the heal. 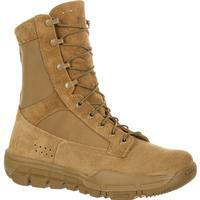 Been wearing combat boots 30 years and am becoming quickly disappointed with this model/style of boots. 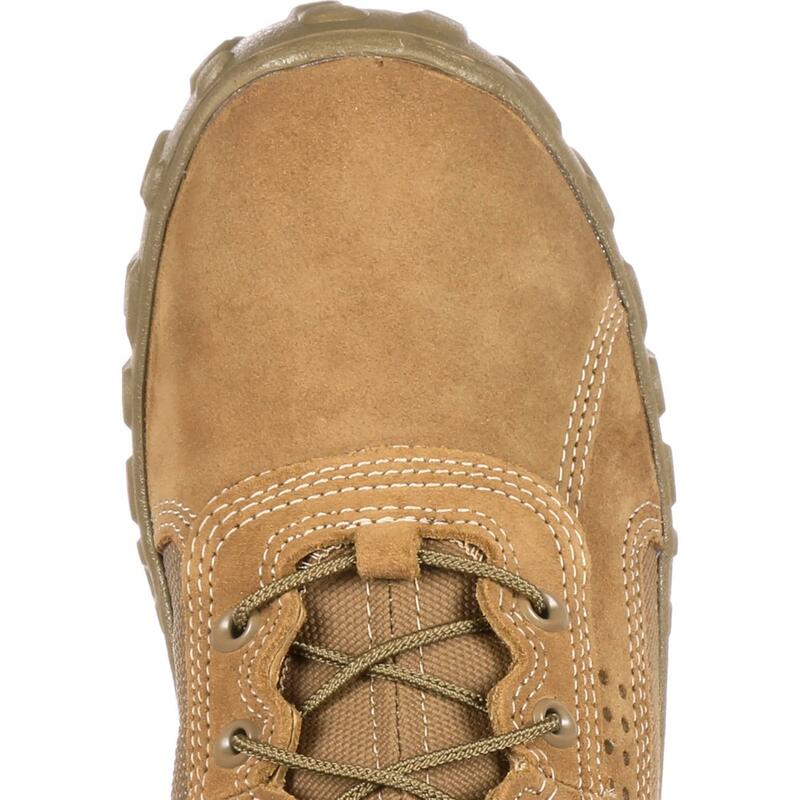 Rated 4 out of 5 by Thompson from Awesome, rugged boots My biggest complaint is that there's no pull tab on the back to help you put on/take off the boots like many other brands have. Sizing boots have always been a pain for me. I wear 10.5 Asics sneakers, and a 9W for Rocky boots. Not a complaint - but something to consider when considering sizes. I haven't had tons and tons and tons of miles in them yet, but I don't have too much to complain about. They've been holding up well for ruck marches (Army) thus far. I have been getting blisters - though, it might be due to the fact that it's a tad big (loose). Otherwise, these are great garrison boots. 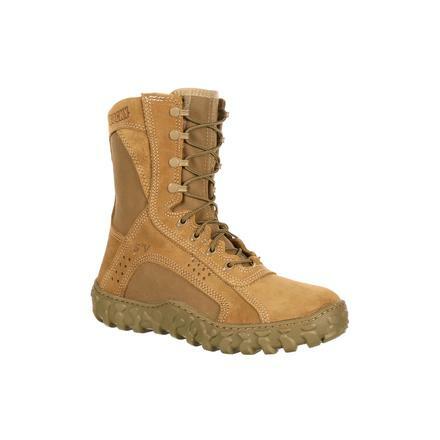 Rated 5 out of 5 by CSM182 from Great boot and great customer service I purchased a set of S2V coyote brown for my Afghanistan deployment through AAFES. They were on back order for two months (because of my size), and when I got them, I wore them for four days on a live fire range and the leather toe near the seam on the outside of the boot ripped. I called AAFES to schedule a return, but could not get any help from them. 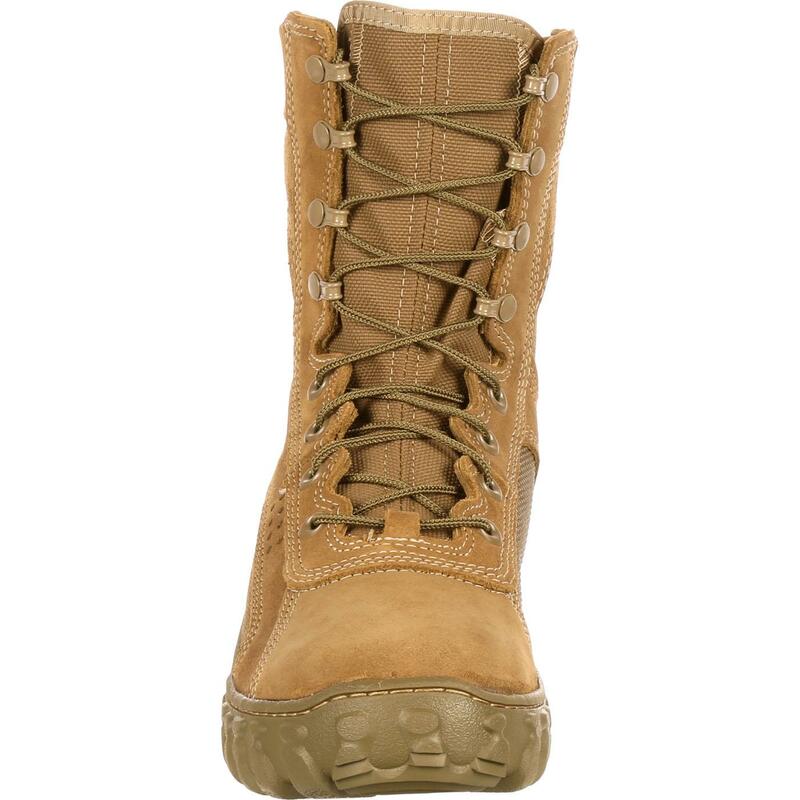 I then called Rocky directly, and they replaced the boots without much difficulty; even when I live in one State, mobilized out of a second state 1/2 way across the U.S. and then deployed overseas before the second boots arrived. Customer service was excellent. This is my second set of Rocky S2V and I swear by them for comfort and durability despite the manufacture defect on this set. I will buy them again in the future. Rated 2 out of 5 by RichE from The looks do not match the fit. This is a great looking boot, but did not fit correctly. I could not return the boot since even though it was only worn once, I wore it out of the house. Make sure the boot fits before you leave the house! I had a boot repairman examine it and he diagnosed a factory defect that causes the boot to rub against my right ankle. He made some adjustments that helped, but I ended up soaking the boots in water and wearing them until dry. They are wearable, but still quite stiff after the first week. 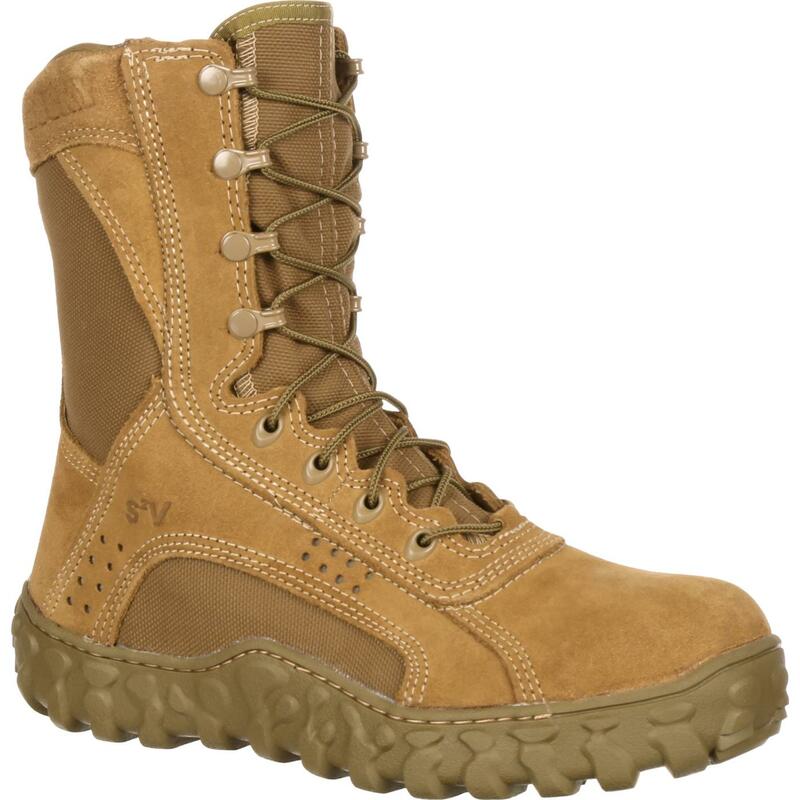 Rated 1 out of 5 by Military Engineer retired from Not the quality you expect from Rocky I purchased these boots two years ago, while I was initially impressed with the comfort I was ultimately disappointed with the wear of the boot. 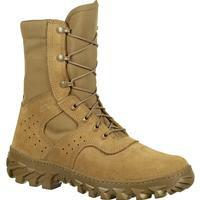 The boot stitching is a cotton like braided thread, it does not stand up to wear. Now I am medically retired, and am not hard on my footwear like I was when I served, there is no reason for the sole to detach from the upper after one year of light wear. When you pay that much for a pair of boots you expect better quality. I called the customer service line and because I was a couple of days after the one year warranty expired I was only offered a 20.00 rebate on a new pair. News flash, that is not customer service. I will not buy another pair of rocky boots. 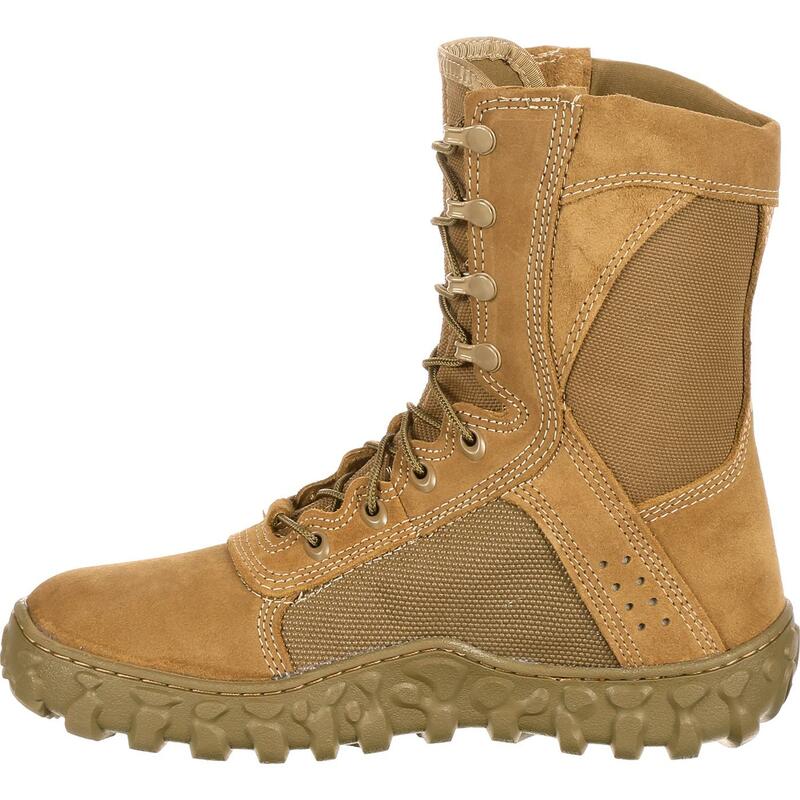 Rated 4 out of 5 by Sapomatic from Allow 2 weeks for breaking in I previously have one multiple different types of military boots. Some of my favorites were Danner Tachyons, which I still really love. That said, my command specified the types of boots we were allowed to wear with our NWU III uniforms to include these and Bellville. 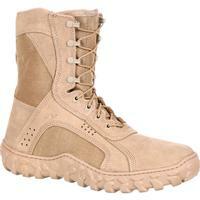 I found these boots to have more support than the tachyons, but also to require more time to break in. Tachyons feel great out of the box, but have noticeably less support. During the first couple of weeks wearing these Rocky boots, I noticed hotspots, but they completely resolved thereafter. My advice is to plan for two weeks to break in these boots and be patient with gen. Once they are broken in, the boots are fantastic!